“I think it’s an incredibly powerful, nourishing, wonderful tonic that just so happens to be absolutely delicious and we all need to be drinking more of it,” said owner and chef Marco Canora. 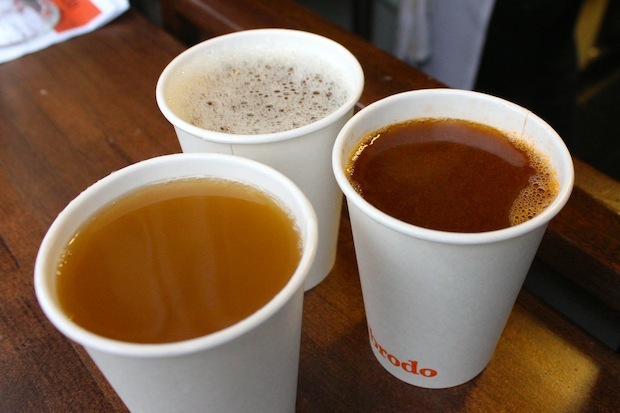 One day a few months ago, as Canora was sipping on broth and looking at the window, which connects to Canora’s restaurant, Hearth, he had a moment of inspiration and decided to start selling cups of broth from the window, he said. “They all go well with everything. There’s no right or wrong,” Canora said.